(45) Photos Printable Brochure Apply For Credit Text Us About This Vehicle! 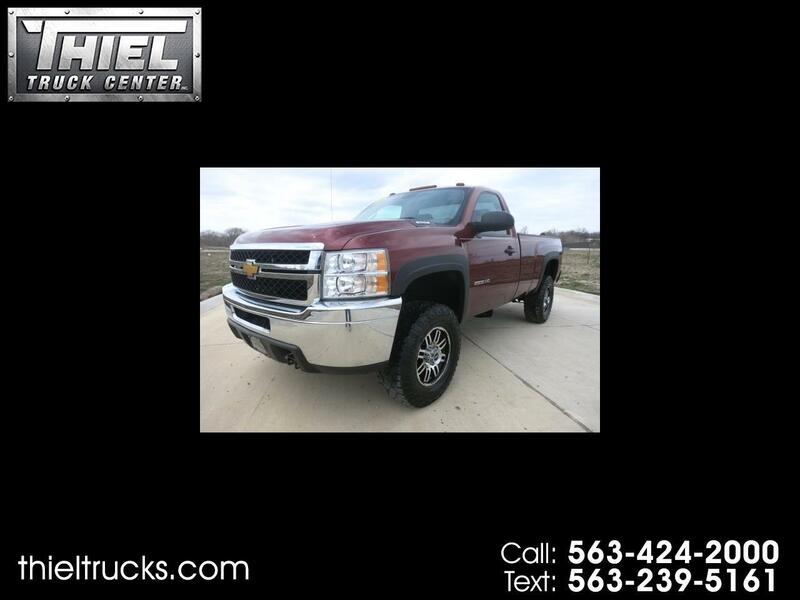 ******** 3/4 Ton 4X4 ***** Regular Cab **** ONLY $19,995 *** Here is a VERY nice 1 owner local truck. 2013 Chevrolet 2500HD Regular Cab 4x4 Long Bed for only $19,995. This 2500HD is set up nice with many options and extras including full power package, Tow package, Custom Alloy wheels, Oversized tires, Trailer brake controller, B&W Goose neck hitch, Clearance lights, and much more. Power comes from the big 6.0L Vortec V8 engine for all the pulling power you can with for. This Carfax Certified 1 Owner truck only has 117k miles. The truck has always been well cared for and just received all new brakes. These Regular cab 3/4 Ton trucks are hard to find. Here is a good one and at a good price too. Call us or Text us now before it is gone.